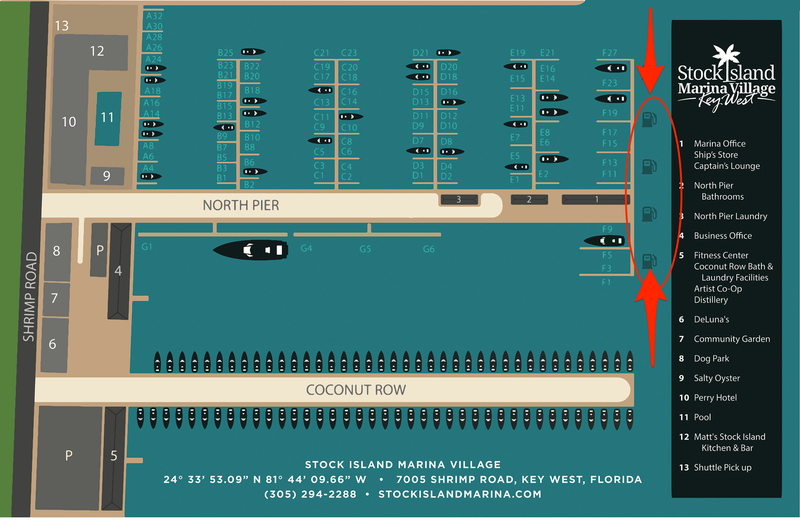 Stock Island Marina Village's fuel dock is equipped with large capacity, high speed pumps. We offer the most competitive prices in the Florida Keys on REC-90 non-ethanol gas and diesel fuel. 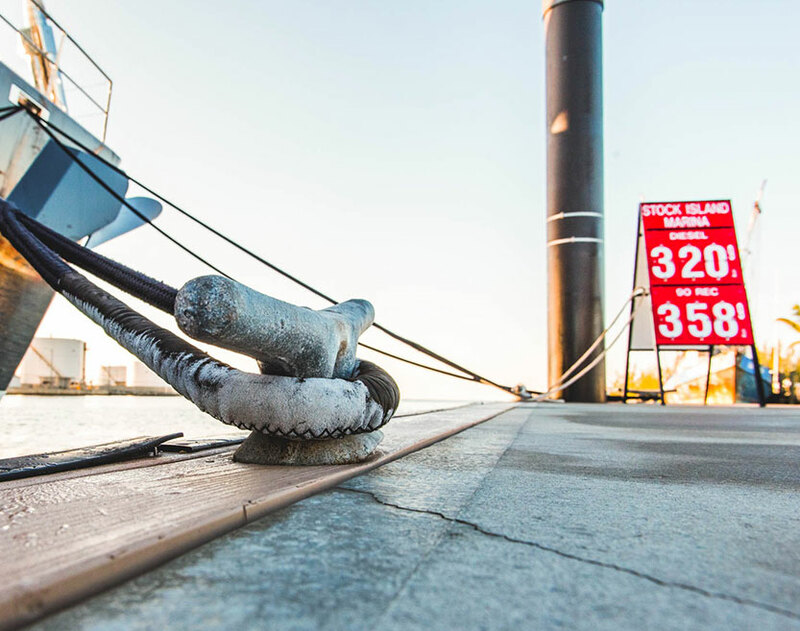 Our fuel dock is conveniently located on the T-Head of the North Pier, on your port side as you enter our safe harbor channel (scroll down for a map and fuel dock location). We monitor: VHF CH. 10 & 16 During Office Hours, please hail us and we will assist you at the fuel dock. We offer volume discounts of up to 6% for quantities over 100 gallons. You must contact us using the form on the right to inquire about a discount. We will call you to discuss and give you a quote ASAP over the phone.